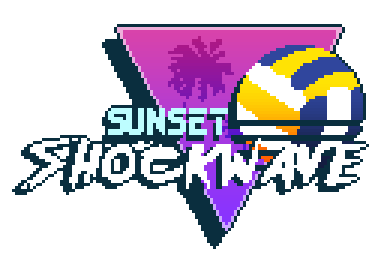 We're the team behind Sunset Shockwave, a local multiplayer game where the 80s was marked with the release of the Shockwave Headgear - an affordable helmet which allows users to convert brain waves into kinetic forces, and which helped create a new range of leisures and sports, most notably the popular sport Shockwave Volleyball. We would love that you give it a try and leave us some feedback! We would really like to know what you think about the game!